The pretrial hearing scheduled to take place from the 24th of August through the 4th of September has been cancelled. According to the docketing order for the now cancelled hearing, the court was to hear argument pertaining to 36 different motions. The consideration of the motions was contingent on the outcome of motion AE 292, Emergency Joint Defense Motion to Abate Proceedings and Inquire into Existence of Conflict of Interest Burdening Counsel’s Representation of Accused, and that issue remains unresolved per Miami Herald reporter Carol Rosenburg. 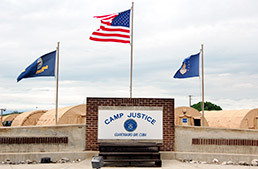 Two representatives (Luke Purdy and myself, Matthew Kubal) of the Military Commission Observation Project and the Program in International Human Rights Law at Indiana University Robert H. McKinney School of Law were scheduled to attend the hearings at Guantanamo Bay as observers. 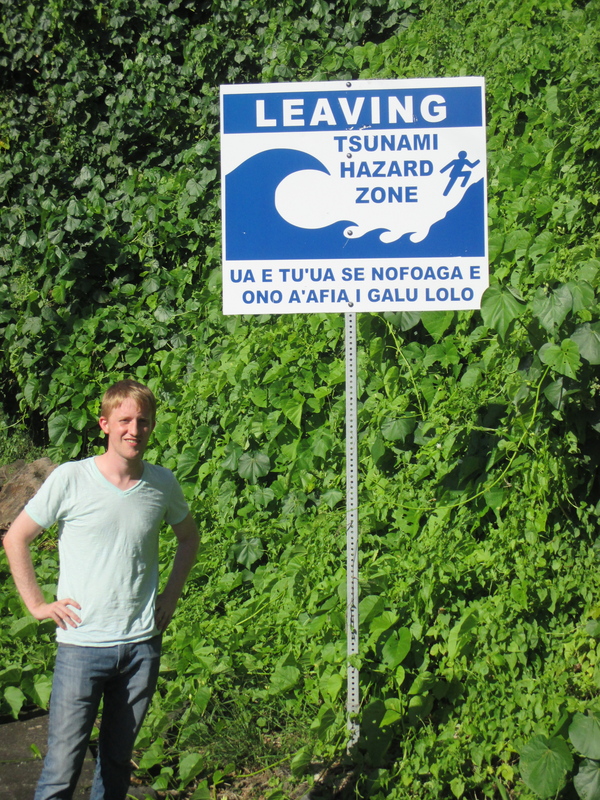 Luke near a Tsunami Hazard Site in American Samoa, while on a 2014 summer human rights internship. My name is Luke Purdy, and I am an almost-graduated 3L law student from Indiana University Robert H. McKinney School of Law. I am scheduled to fly to Guantanamo Bay, Cuba on 29 August to observe the Military Commission’s proceedings against Khalid Sheikh Mohammed, which have been ongoing since 2003. I have also been scheduled to attend previous hearings at Guantanamo Bay, but these hearings (one of which was for Al-nashiri, accused of the 2000 bombing of the USS Cole) were cancelled at the last minute. I first heard about IU McKinney’s Gitmo Observer program while I was interning in Melbourne, Australia for the law school’s Program in International Human Rights Law. During that time I worked on the defense of an alleged Serbian war criminal. This experience elevated my interest in the world of military law, specifically when it impacted the rights of criminal defendants. Soon after returning from my internship in Australia, I dove into more classes relating to international human rights. In one class, International Criminal Law, I was able to contribute to a Fair Trial Manual being drafted by the Program in International Human Rights Law for use by observers at Military Commission proceedings like the one I am scheduled to attend at the end of this month. As many prior observers have done, I will be bringing copies of these manuals for observers to use during the upcoming trial against Khalid Sheikh Mohammad. Photograph of Khalid Shaikh Mohammad, the accused war criminal whose hearings I am scheduled to attend. 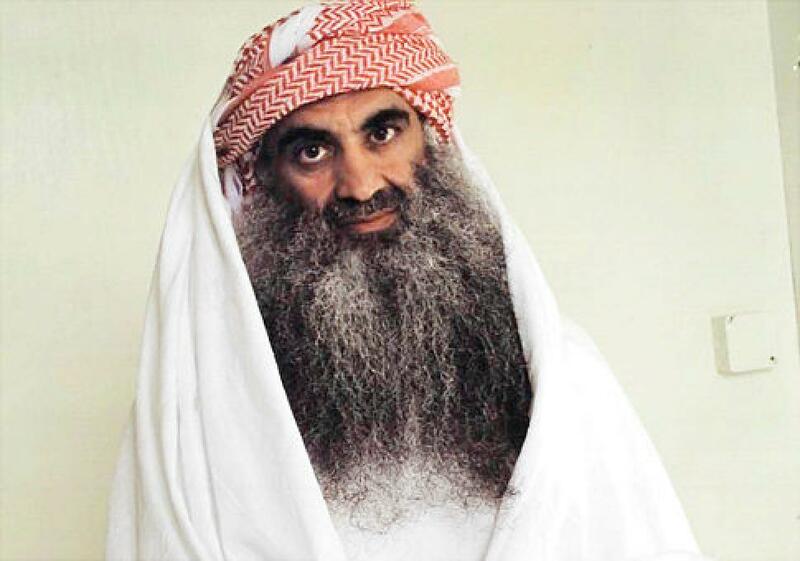 The defendant in this trial, Khalid Sheik Mohammad, is accused of participating in numerous terrorists plots against the United States, including the 9/11 attacks on the World Trade Center. Khalid confessed to many of these crimes. However, some have criticized the procedures used on Khalid to elicit these confessions, which included waterboarding. Ultimately, if convicted of war crimes, Khalid Sheik Mohammad could face the death penalty. In line with the goals the Military Commission Observation Project, my task as an MCOP representative is to attend, observe, analyze, critique, and report on the Military Commissions. Specifically, I am interested in learning about the defense team’s access to discovery materials, and whether rules of confidentiality interfere with the defense’s ability to defend their client fairly. I would also like to see how classified information is used (if at all) by the prosecution, and get a sense of how “reasonable” the speed of the trial is, and whether proceedings are being carried out without undue delay.